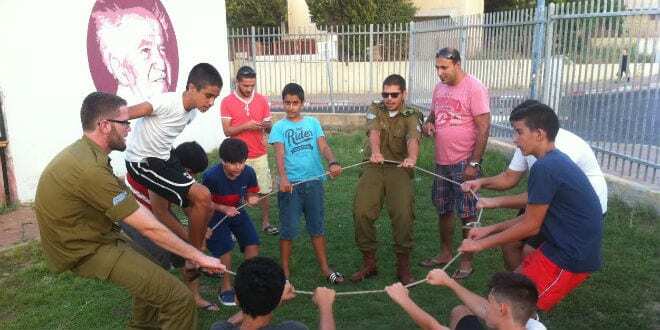 Sderot Youth Club Building a Future for Youth at Risk - Breaking Israel News | Latest News. Biblical Perspective. The “Bomb Shelter Capital of the World”, Israel’s southern city of Sderot, was recently toured by the world renowned Cantor Avi Albrecht. Albrecht, a long-term Board Member of American Friends of Meir Panim, was particularly interested in the work of the Meir Panim-sponsored Ben Gurion Youth Club, which provides a safe haven for the city’s children. Daniel Berkeley, manager of the Sderot Youth Department, was the tour guide. Albrecht began the day by walking to the edge of Sderot, which is located across the street from the hostile Arab area of Gaza and 40 kilometers from Egypt. Sderot has suffered over 20,000 rockets shot from Gaza since 2001. In fact, the day before the visit, a rocket had landed in Sderot. 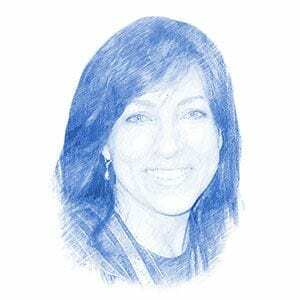 As the sounds of army tanks were heard rumbling on the nearby roads, Berkeley explained to Breaking Israel News the unpredictability of life for the people of Sderot. “Just a few years ago, there were no less than ten warning sirens per day that rockets were on their way to the city,” he said. This reality highlights the need for the Meir Panim sponsored Ben Gurion Youth Club. Meir Panim is a charity organization not only working to alleviate and diminish the harmful effects of poverty on thousands of Israeli men, women and children but also striving to give young people a positive future. The Ben Gurion Youth Club, opened four days a week during after-school hours, is second home for some 30-40 children, aged 13-18, from impoverished and dysfunctional homes as well as for those traumatized by years of rocket attacks. “These kids come each day to play, use computers, talk to mentors and friends, get help with homework, make food and enjoy a quality, loving and safe environment,” Berkeley said. Due in part to Sderot’s Mayor Alon Davidi, who works to strengthen the city’s residents and feel pride in their resilience under such challenging circumstances, and due to the two youth clubs maintained by Meir Panim in the city, the general feeling in Sderot today is that some of Israel’s future leaders will come from here. The residents’ resilience has been impressive under incredibly difficult odds. Most of Sderot’s population consists of a lower socioeconomic population of immigrants who often work long hours in factories. If not for the Ben Gurion Youth Club, many youth would come home to an empty house, void of proper food or positive guidance or healthy social outlets. Albrecht was shocked when he was told what the youth of Sderot have lived through. This includes learning to run for shelter within 15 seconds of the siren warning that a rocket is on the way. Indeed, city residents are known for their unusually sharp hearing, as they have become organically trained to recognize from where a rocket is coming and where it will land, as well as the sounds of tunnels being drilled beneath the ground from Gaza towards the city. To donate to Meir Panim, please visit here.